Win Diggerland USA Tickets in this Diggerland USA Ticket Giveaway! 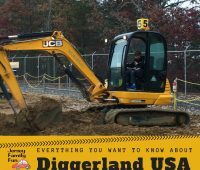 Jersey Family Fun is hosting a Diggerland USA Ticket Giveaway. Enter to win 4 Diggerland USA tickets to enjoy one of NJ’s most unique theme parks. New Jersey’s most unique amusement park can be found in South Jersey. 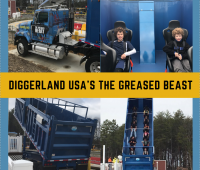 Diggerland USA is the country’s only construction theme park and we’re sharing everything you want to know about Diggerland, one of the best places to visit in New Jersey. Gifting a Diggerland Annual Pass is a great giftable experience for the holidays, birthdays, and special occasions that lets kids DIG into fun all year long. Learn about how families can experience Diggerland after dark with The Night of the Living Machines, a South Jersey Halloween event at Diggerland USA. 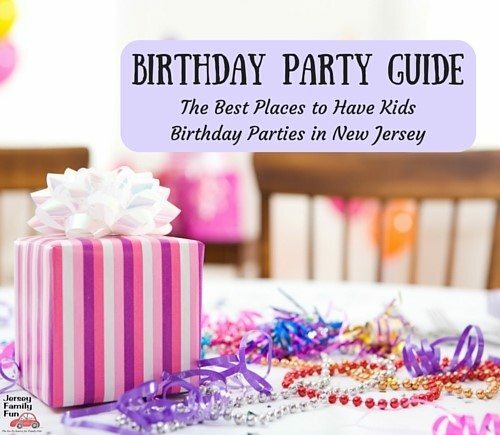 Jersey Family Fun has the information you need about Diggerland USA Upcoming Events, family friendly events in Camden County, New Jersey. 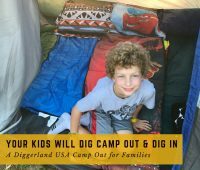 Just back from the first Diggerland Camp Out for families, Jenn couldn’t wait to share her experience at Camp Out & Dig In at Diggerland USA. 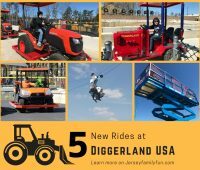 Win Diggerland USA Tickets for a Diggerific Summer! Jersey Family Fun is giving away a family 4 pack of Diggerland USA tickets located in Berlin NJ in Camden County.